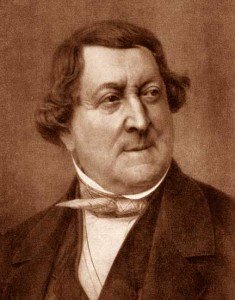 Precisely 157 years ago this month, on March 13, 1864, a twenty-year silence from Gioachino Rossini ended when his Petite Messe Solennelle was presented to the Paris musical elite in the grand salon of the home of the Commissioner and dedicatee of the work, Count Frederic Pillet-Willi. Neither short nor solemn, the Mass, a real “Messa Buffa,” created a sensation. Chorus pro Musica, under the leadership of Music Director Betsy Burleigh, will present a rare performance of Rossini’s Mass on Sunday, March 20, at 3:00 PM, in Old South Church, Copley Square. Moreover, the accompaniment will be as the composer wished — two pianos and one harmonium. 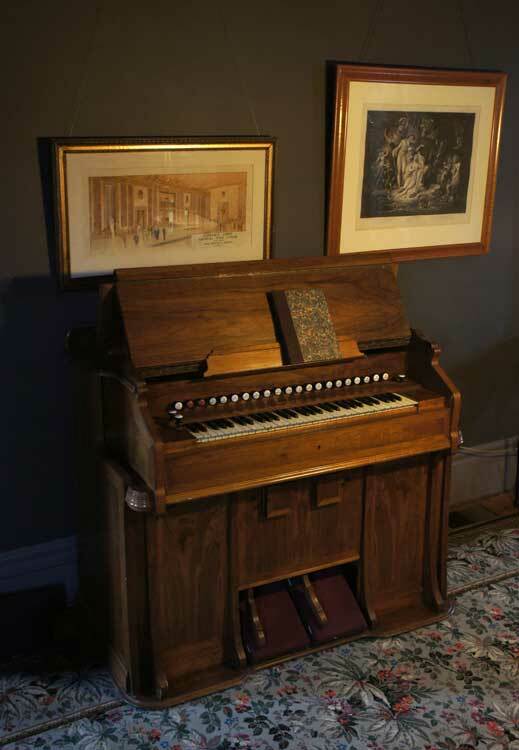 The Harmonicorde used in the debut performance was an orgue expressif built by François Debain, who patented the name Harmonium. A hybrid between a piano and a reed organ, it incorporated his recently invented percussion stop, so named because hammers struck the reeds, to permit prompt speech. The French harmonium works on pressure wind and is capable of variable dynamic expression and attack; the American reed organ, by contrast, works on suction wind and so is limited dynamically. The harmonium used in this performance, a 1933 Parisian Mustel orgue expressif owned by BMInt publisher F. Lee Eiseman, is very similar to the original Debain instrument. It was imported into the United States by the University of California for the use of Arnold Schoenberg. In his foreword to the autograph of the score, Rossini specified “twelve singers of the three sexes, male, female, and castrati will be sufficient for its performance, that is to say, eight in the chorus, four as soloists, a total of twelve cherubs,” a specificity probably more to exclude boy singers — whom he abhorred — than to encourage castrati in any eventual church performance. As his real preference was a mixed chorus of men and women, he asked Pius IX to overturn the bull of an earlier Pope “prohibiting the presence of the two sexes promiscuously in the choir loft.” His wish was granted — posthumously. Chorus pro Musica, a distinguished, independent Boston-based chorus founded in 1949 by the late Alfred Nash Patterson, quickly built a superb reputation for professional-level musical standards and innovative programming that have led to collaborations with such music organizations as the Boston Symphony Orchestra, the Boston Philharmonic Orchestra, Opera Company of Boston, and Commonwealth Opera. Betsy Burleigh, in her second season as music director of CPM, has also been since 2005 the Music Director of the Mendelssohn Choir of Pittsburgh, a renowned 115-voice chorus founded in 1908 that is the Pittsburgh Symphony Orchestra’s chorus of choice. She holds a doctorate in choral conducting from Indiana University and a masters degree from the New England Conservatory of Music. CPM is known for its big sound, so BMInt wondered if she selects singers with dramatic voices. “What I look for are good voices, no matter what size. Good intonation, freeness of production and accuracy. I always do the initial auditions with individuals, subsequently in groups; but everyone is auditioned each year. I try to be in the present. In my second year I’m really more interested in where we’re going than where we’ve been. Listing the soloists for this performance on March 20, she noted that lyric coloratura soprano Carole Haber is really at home in the bel canto style. A recipient of the Foundation Award at the 1989 Washington International Voice Competition at the Kennedy Center, she is well known for her Queen of the Night. Mezzo-Soprano Hillary Nicholson is a well know performer in regional opera companies and has done the Rossini Stabat Mater recently. Tenor William Hite is very busy locally and has sung the tenor arias in Petite Messe before. Bass-baritone Paul Guttry is a very versatile former member of Chanticleer, Sequentia, and Blue Heron and has done summer sings for CPM. Vytas Baksys, who will be playing the harmonium, is a frequent performer with the BSO. He does over 100 gigs each year. She is very pleased with their overall artistic level.